Queens Bankruptcy Attorney - Bankruptcy Lawyer in Queens, NY - Bruce Feinstein, Esq. Contact Bruce Feinstein, Esq. Now! The Law Offices of Bruce Feinstein, Esq. combines years of experience and dedication to serve its clients throughout the entire bankruptcy process. They understand the inner workings of bankruptcy, from debt resolution to court proceedings, to offer successful bankruptcy filings. The Office is firmly rooted in the idea that their personalized service, expertise, and focus will resolve any bankruptcy case, big or small. Bruce Feinstein, Esq. has proven time and again that he is a Queens bankruptcy attorney who can deliver results. The most important thing to me is helping people. In the last 15 years, I've truly enjoyed helping my clients get the fresh start they deserve. Dealing with debt issues can be an intimidating process, but Bruce Feinstein, Esq. and his team guide clients every step of the way. Whether it is Chapter 7, Chapter 11, Chapter 13, ending wage garnishment, deed in lieu, or loan modification, the Queens bankruptcy attorney is well equipped to handle every clients’ cases. They tailor each plan to the needs of the individuals and families they work with by helping them determine if bankruptcy is an appropriate step for them, and working with them to create a plan of action to resolve their debt. By consulting with you and determining whether plans like Chapter 7, Chapter 11, or Chapter 13 are a good fit, Bruce Feinstein, Esq. can customize a way to get you, your family, and your business safely out of debt. And if bankruptcy alternatives are a better choice, he will help you find the best solution. “Bankrupt” can sound like defeat, but it’s not. The Bankruptcy Code was created to help you so you can come back from debt and relieve yourself from the stress and anxiety it can cause. 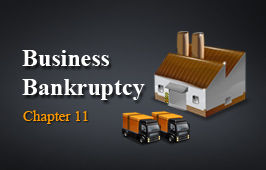 You have the option to file for Chapter 7 bankruptcy, the most common form of bankruptcy. This means that non-exempt property is sold at auction and the proceeds go towards ridding you of your debt. 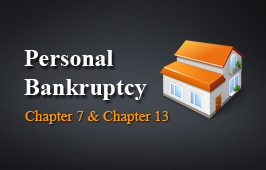 (Don't be afraid, in almost all cases, clients who qualify for a Chapter 7 never have to have any of their personal property sold) Or you may qualify for Chapter 11 bankruptcy, which is often used by businesses but can also be used by individuals. You can remain in control of your business or assets as debtor in possession, and have a number of restructuring options available to you. Chapter 13 bankruptcy is an option for those who do not qualify for Chapter 7 bankruptcy – you can set up a repayment plan to pay back your debt over time and avoid consequences like foreclosure. 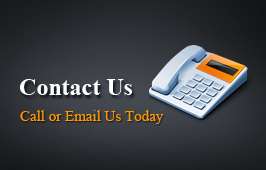 Contact a member of the firm today to see what your options are for getting rid of your debt. It’s free, and it will help you find the right solution to your debt problems. It’s important to know your rights when it comes to creditor harassment. Some creditors may go to extremes by calling you constantly at work or at home, making misleading statements, or falsely accusing you of charges and payments due. This is not only intimidating, it’s illegal. Contact Bruce Feinstein, Esq. if you feel you are the victim of creditor harassment or have questions about what creditors are and are not allowed to do. The firm can help you take legal action if creditors are acting outside the Fair Debt Collection Practices Act (FDCPA). If you are considering filing for bankruptcy, you should not feel ashamed. Asking questions like “What is Chapter 11?” or “Should I file jointly?” should be answered clearly and effectively, and the Law Offices of Bruce Feinstein, Esq. are available to help you. They understand the importance of getting clients’ lives back on track by working diligently to create an effective plan for you, from eliminating bills to negotiating loan modification. Most importantly, they will be with you throughout the entire process, so you are not alone during this difficult time.